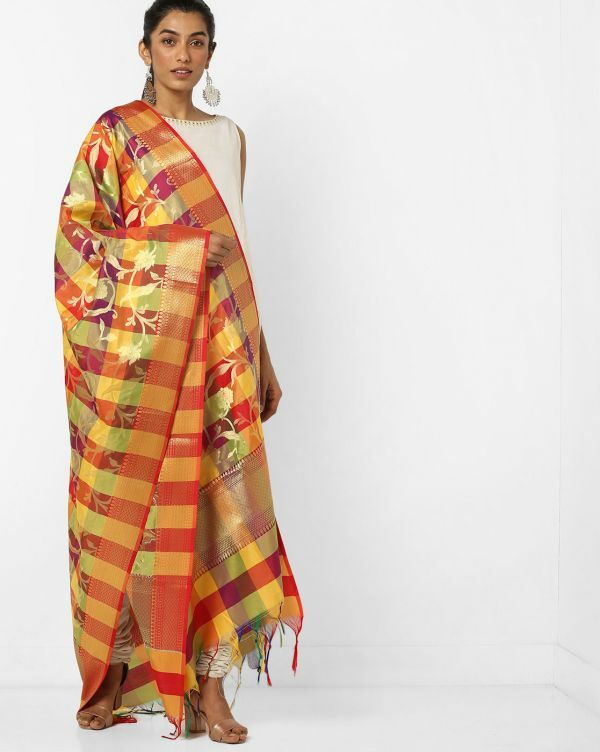 All You Diwali Divas Need To Check Out These Fab Dupattas Right Now! At the collector's corner, dupattas hold a special place. 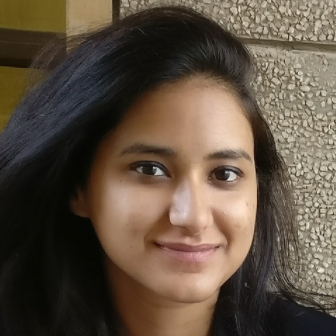 You may not buy that pretty suit or smart kurta, but picking up a dupatta, impulsively, is totally justified. They do so much in any ensemble. 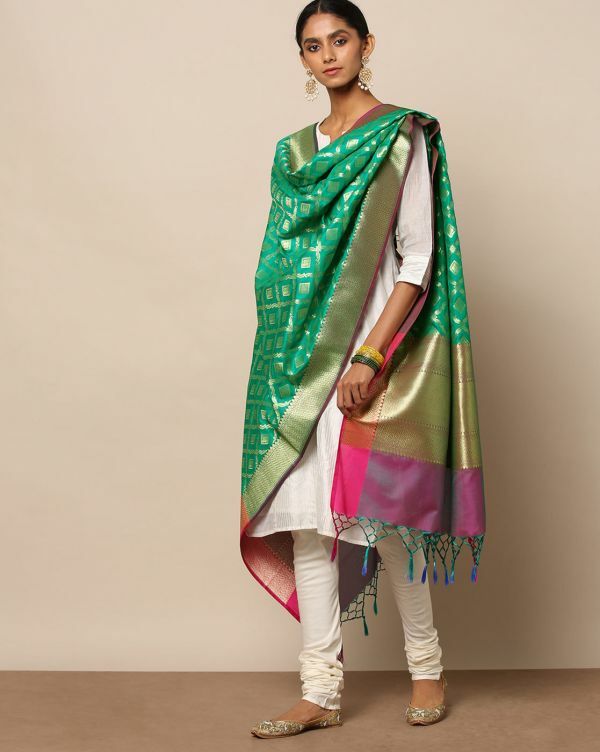 With no hard and fast rule established in ethnic wear about having matching dupattas, it is only fair to stock them up. 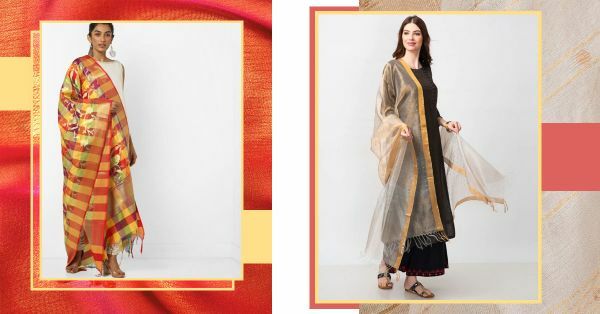 And with Diwali just around the corner, we found some fab and festive ones that you can mix and match with all of your existing Indian wear. This rich shade of green will complement, even beautify, all your neutral coloured suit sets and kurtas. Navy blue is the colour of royalty, and what better way to celebrate a happy evening than in these extravagant drapes! We love see-through dupattas! They work as a fine cover for the design underneath with just the border adding some drama to the look. 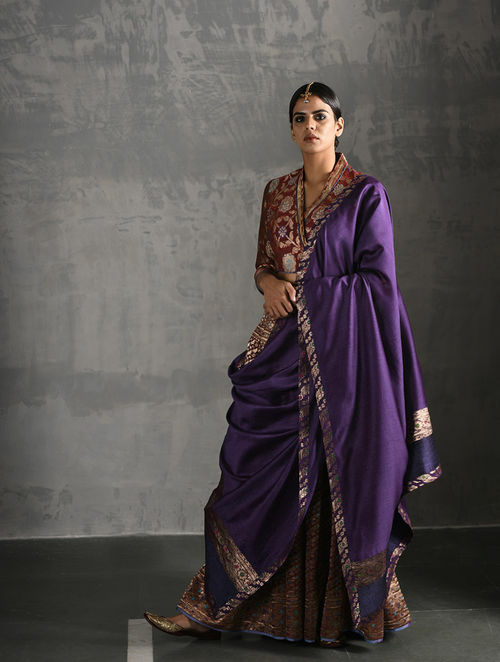 Nothing ever looks bad in purple, which is why we've picked this stunning dupatta! 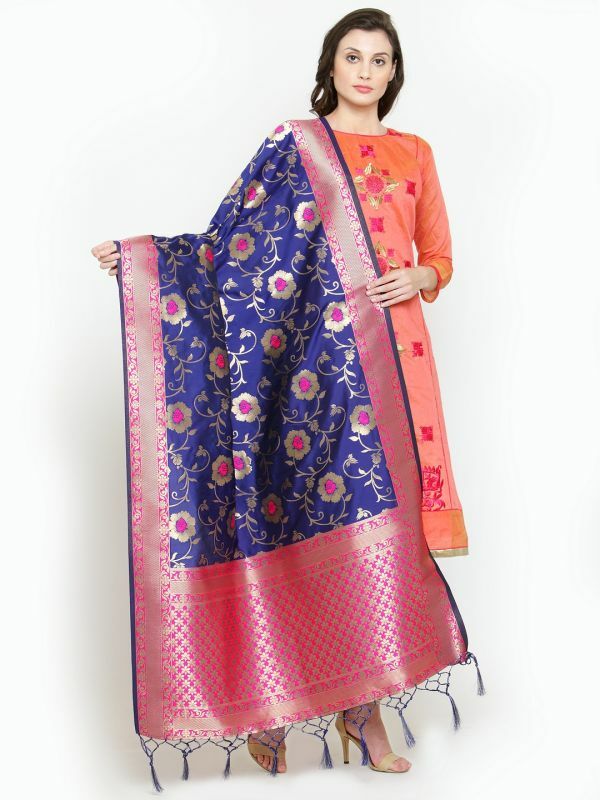 Pair this with all your embroidered kurtas or flared lehengas, and we guarantee you'll be a stunner. 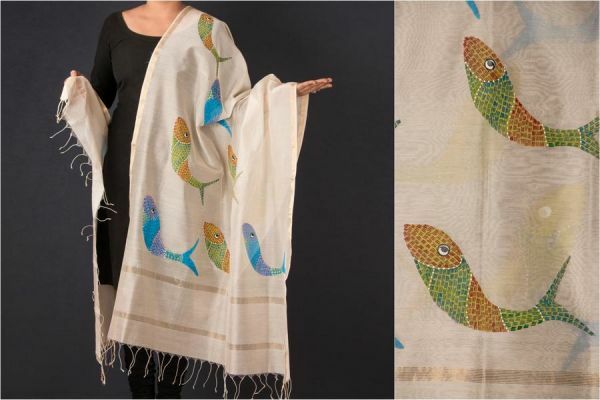 If you are looking to start conversations with your outfit, then this painted dupatta is definitely going to get people curious, and talking. Diwali and crimson hues go hand in hand. Whether it's the fireworks or your daring ensemble for the night, red always steals the show. 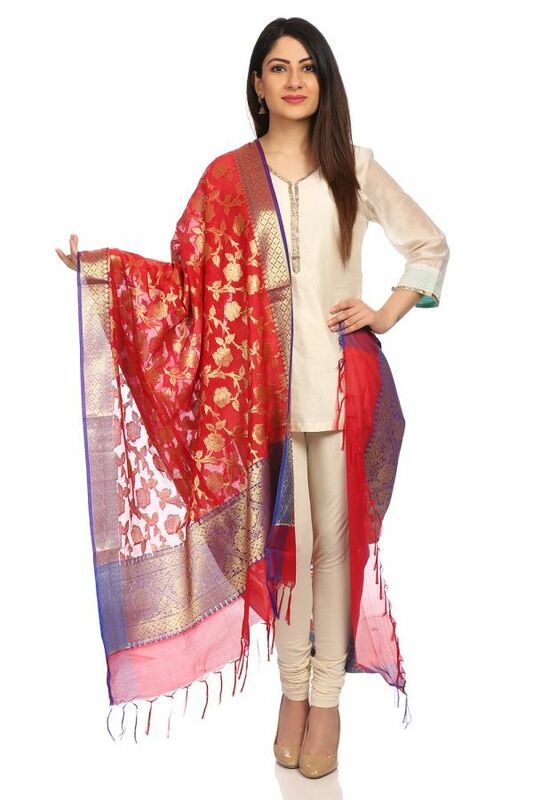 Add some multicoloured fun to your Diwali outfit with this golden floral painted and tasseled dupatta! What are some of your favourite festival buys? Let us know, and we'll find the best ones for you!